The Milbank Memorial Fund has published The Milbank Quarterly, a peer-reviewed journal of population health and health policy since 1923. It has commissioned and published reports since early in the last century and, beginning in the early 1990s, published a series called Milbank Reports. From 1999 to 2013, the Fund co-published with the University of California Press a series of books titled California/Milbank Books on Health and the Public. The Fund currently publishes reports, issue briefs (shorter papers), case studies, and Milbank-Supported Reports, reports published with partner organizations. As the population ages, one of the greatest challenges facing state officials is how to organize and pay for long-term services and supports (LTSS) for low-income elderly and disabled adults—the most complex, expensive, and fastest-growing group covered by Medicaid. To help address this challenge, a toolkit for state leaders published in 2017 has been updated. 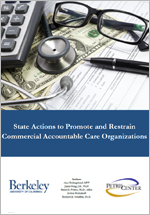 It describes a menu of promising strategies and best practices for states to advance person-centered, cost-effective LTSS options through their Medicaid programs. 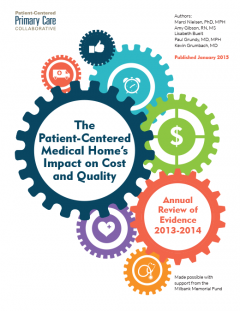 Patient-centered medical homes (PCMHs) and accountable care organizations (ACOs) were often considered to be competing models for reforming health care delivery. Not now. It’s increasingly apparent that one helps the other. 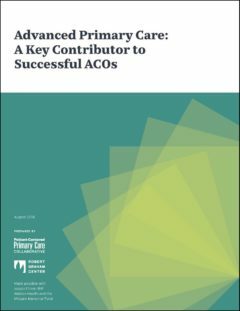 That’s the main finding from the Patient-Centered Primary Care Collaborative 2018 evidence report, the first study of its kind to look at how the role of advanced primary care, such as the PCMH, may contribute to the success or failure of ACOs. 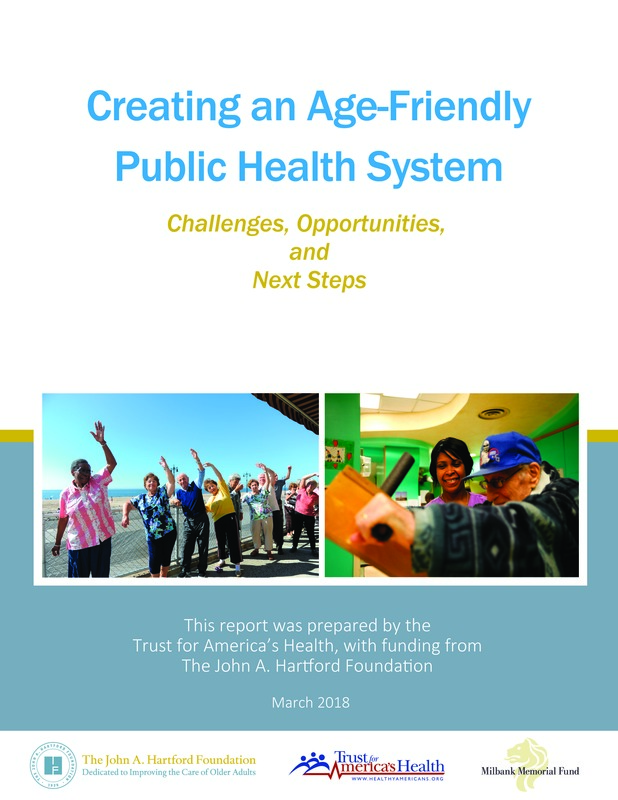 This report summarizes an October 2017 meeting held by Trust for America’s Health, with support from the John A. Hartford Foundation, during which national, state, and local public health officials came together with aging experts, service providers and others to discuss how public health could contribute to an age-friendly society and improve the health and well-being of older Americans. 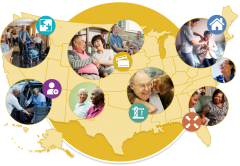 The convening resulted in a Framework for an Age-Friendly Public Health System, which is described in the report. Low-income adults who need and use long-term services and supports are among the most complex, expensive, and fast-growing populations covered by Medicaid. One of the greatest challenges state officials face is how to organize and pay for these services. 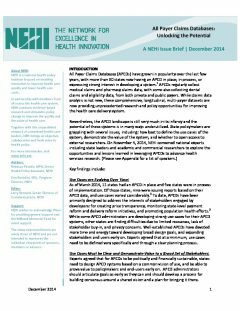 This toolkit, written by Manatt Health and the Center for Health Care Strategies with support from the SCAN Foundation and the Milbank Memorial Fund, addresses these challenges. 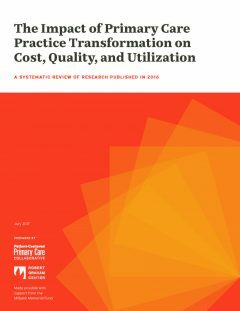 The Patient-Centered Primary Care Collaborative has released a new evidence report, “The Impact of Primary Care Practice Transformation on Cost, Quality, and Utilization,” that links the patient-centered medical home and other forms of advanced primary care with improved outcomes in many studies. The report, published with support from the Milbank Memorial Fund for the fourth time, highlights findings from 45 newly released peer-reviewed reports and additional government and state evaluations. 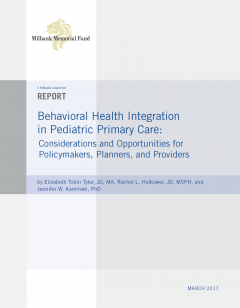 Much research on behavioral health integration (BHI) has focused on adults. But children are affected by mental disorders too. BHI can also help children. 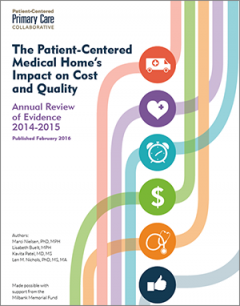 This report is intended for anyone interested in improving the welfare of children in the health care system.